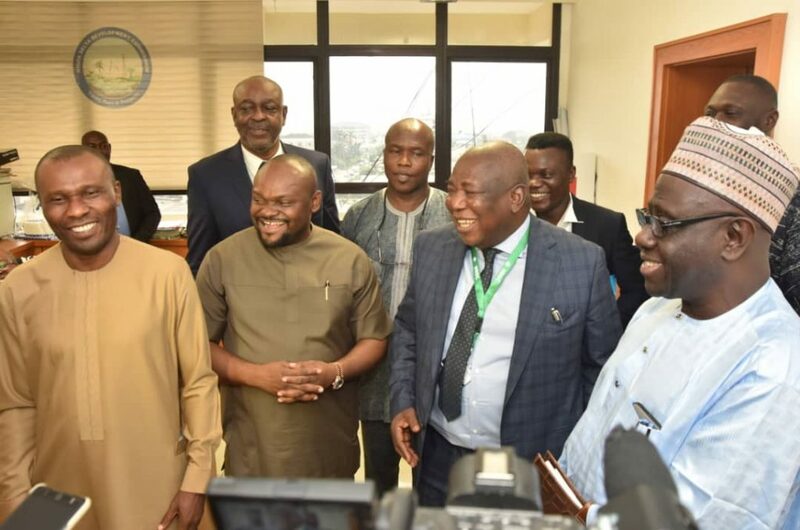 The Minister was speaking at the NDDC headquarters in Port-Harcourt, when he paid a working visit to the new management team of the Commission. He was accompanied by his Minister of State, Prof. Claudius Daramola, the ministry’s Permanent Secretary, Alhaji Aminu Aliyu-Bisalla and other directors of the supervising ministry. Pastor Usani stated that the current NDDC management, being an interim one, was expected to do more for the people of the Niger Delta than a regular board. “We expect every functionary and staff of the commission to appreciate this fact and put up the very best efforts in the performance of their duties,” he said. Pastor Usani emphasised that the policy of the Buhari administration was that there would be nothing like abandoned projects. “That is why you can see many of the projects started 20-30 years ago, especially infrastructure are still being reviewed and executed,” he said. He urged the NDDC management and staff to recognise the important and special place they occupy in the development of Niger Delta and in the bigger economic picture of Nigeria. In his own remarks, the NDDC Acting Executive Director Finance and Administration, Mr. Chris Amadi, said the Commission was very much aware of the need to fast-track the development of the Niger Delta region and was appropriately taking directives from its supervising ministry. Mr Amadi stated that NDDC had commenced projects inspection, starting with the new headquarters of the commission and would be embarking on major projects’ inspections across the region from next week.